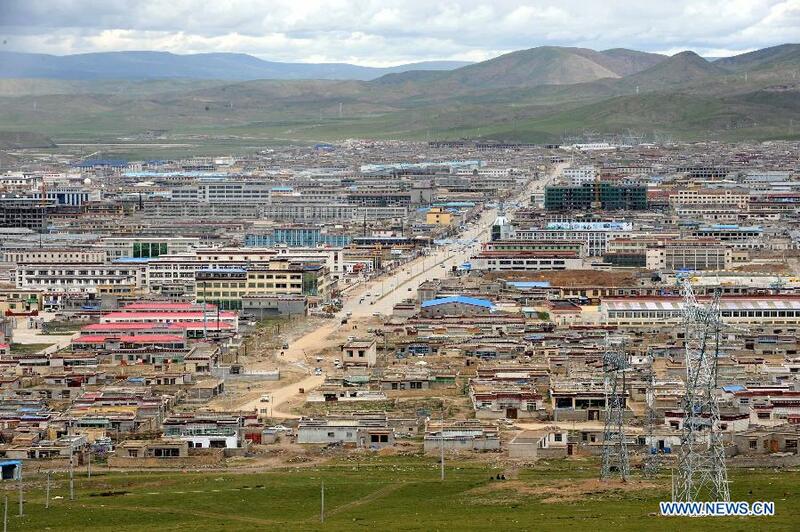 (TibetanReview.net, Sep06, 2016) – The local Chinese government of Tibet Autonomous Region (TAR) has said it will launch the process to make Nagqu (Tibetan: Nagchu) Prefecture the region’s sixth City. The change from prefecture to City is associated with more rapid urbanization which in Tibet’s case means more Chinese settlers and closer integration with China. China’s online Tibet news service eng.tibet.cn Sep 2 cited the TAR government as having announced recently that after the successes of Shigatse, Lhoka, and other areas’ “change from prefecture to city”, Nagqu will be the fifth in the TAR to launch the process. The report noted that in Jan 2016, Chinese cabinet, the State Council, had approved Lhokha (Chinese: Shannan) for beginning the process to “change from prefecture to city”, making it the third straight year the TAR had obtained approvals from the State Council for changing its prefectures into cities, which included Shigatse, Chamdo, and Nyingchi. Before that, Tibet’s capital Lhasa was the region’s only City. China’s requirements for “change from prefecture level to city level” administrative region include a GDP of more than 2.5 billion yuan, the output value from the tertiary industry being more than from primary industry, and the output value of the tertiary industry being more than 35% of the GDP, etc. Zhou has said Nagqu Prefecture had seen rapid economic development in recent years, creating the foundation for its change from prefecture to city. Zhou has also said that the TAR’s administrative reform of change from prefecture to city is a way to boost its economic growth and urbanization, and an inevitable choice as part of the “One Belt and Road” strategic initiative. Once Nagchu becomes a city, only Ngari (Chinese: Ali), located in remote west, will remain a Prefecture in the TAR.